This sweeping Shoreline estate has gorgeous interiors and some surprising ties to the presidency. SEATTLE — We're taking you on a tour of this sweeping Shoreline estate with gorgeous interiors and some surprising ties to the presidency. 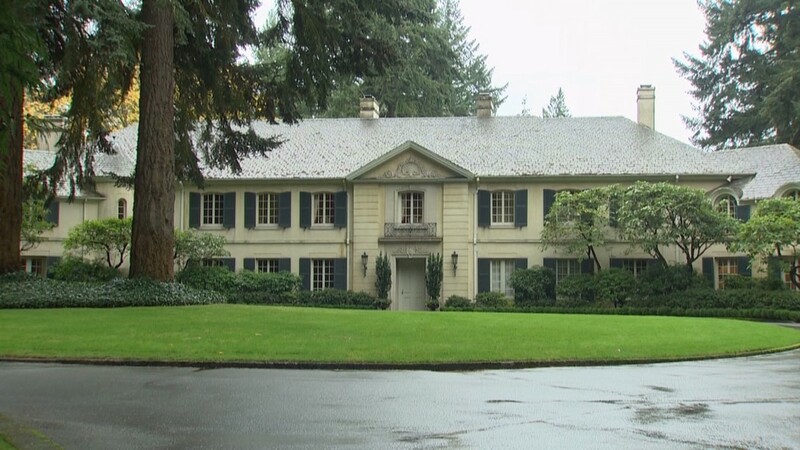 The home was constructed between 1927 and 1928 for the railway heir Langdon Henry, and it was designed by Elizabeth Ayer, the first licensed female architect in the state of Washington. Ayer's work was greatly informed by her interest in classical architectural forms and European travel, as evidenced by the house's enduring architectural details. The interiors, while complementing Ayer's architectural details, were designed by the renowned firm Parish Hadley. The name may not sound familiar, but this eclectic mix of styles, patterns and textures might; Parish Hadley also worked with Jackie Kennedy to design the Oval Office and private spaces of the Kennedy White House! The estate occupies more than four acres of exquisite formal gardens set amidst a backdrop of the unspoiled forest. The mansion itself stretches over 11,000 square feet, containing 14 bedrooms and eight baths. The home is currently listed at $4.8 million. Check out our gallery below for more photos of Shoreline's presidential palace! Shoreline's "Chapel Lane" estate is currently listed at $5.8 million.